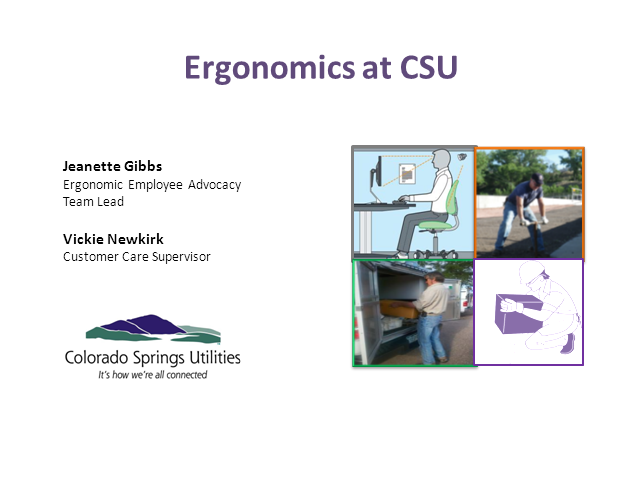 Colorado Springs Utilities, Customer Service contact center operations has successfully implemented a program of early ergonomic and employee involvement resulting in a reduction of lost work time and worker compensation claims. Many organizations practice a re-active approach, have a high incident rate of restricted duty, lost time and a high severity of needed medical attention. Increased activity of a pro-active ergonomic approach will result in a quantifiable reduction in worker compensation cost, decreased severity of required medical attention and less lost work time.